INVITRO-CONNECT GmbH and its employees stand for "Better science through in vitro tests (without animal experiments)!" We do everything to reduce animal testing. Unfortunately, some animal tests still have to be carried out today in accordance with legislation. If we have to carry out animal experiments in accordance with these legal requirements, then we spend 3% from our profit to a very competent organization where research is done on in vitro tests, so animal experiments can be replaced by in vitro tests. We advise and assist you with all the internal expertise and know-how from our entire global cooperation network. Thank you for stopping by our jobs. We are looking forward to your interest in our company INVITRO-CONNECT GmbH. Here you will find useful links to the topics reach, science, animal experiments, pharmaceuticals, medical devices and much more. Your data will be kept strictly confidential by us and our cooperation partners. This is confirmed by a Confidentiality Agreement or non-disclosure agreement. All customer data and generated data during the project will be saved encrypted on ourexternal server of the company “Strato” in Berlin. Therefore we provide you with the most modern and highest state of the art safety, based on TÜV-certified data security. All our network laboratories and cooperation partners are established, accredited, GLP certified contract laboratories and service providers and are mainly located in Germany, France, England, Austria, Hungary, Spain, Italy, Czech Republic and in Switzerland. Our collaboration partners outside Europe are located in the USA, in Canada, South America, India and China. A good study monitoring is most important. It often decides on the positive outcome of a test or a scientific study respectively. It furthermore decides whether or not it will eventually be accepted by the authorities. Our competent and practical experienced study monitors review the entire scientific data which are accumulated during a GLP or a non GLP project. This means, that we control the accuracy of the draft for the study plans and reports and revise them if necessary. We also review these drafts according to the GLP directives if necessary and release them for finalization. Only after the “ok” for the finalization of the study plan given by the study monitor, the test or the study will be started. We are working very team- and goal-oriented and support our cooperation laboratories with our entire professional expertise during the whole project course. To obtain the best possible test results we make sure that for instance the correct concentration is used for the tests which can potentially circumvent the need for the classification of the used test substances. In the end of the experimental phase performed in the laboratory we support our cooperation partners to generate a high quality report based on the collected data which will finally be accepted by the authority. Depending on requirements we offer our study monitoring in three different options. It is up to you to decide how much assistance you need or wish. In the matter of study monitoring with our experts we are your partner in any case. You can count on us! For further information please contact us directly. We will be happy to assist you. All data will be delivered to you “ready to archive”. We provide you with all final test and study reports as pdf files via e-mail and on CD ROM including a detailed table of contents. Of course also a hardcopy in a folder including table of contents. 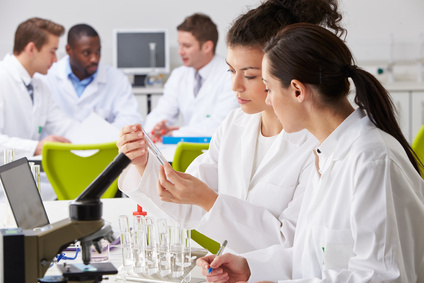 INVITRO-CONNECT GmbH supports your project personally and conducts, in case of extensive tests, at least one on-site inspection at the cooperation laboratory under GLP directives. INVITRO-CONNECT GmbH will always make every effort to offer you a professional project management and to achieve the best possible quality for your project. This we are able to guarantee as most coworkers of INVITRO-CONNECT GmbH have more than 10 years or even more than 20 years of experience in contract research. We are a team of professionals in the areas of study coordination, project management, study monitoring, quality assurance for GLP and GMP and standardization and optimization of project processes. We therefore can take care of a large number of test substances and products per year in collaboration with our partners. This means that we are very flexible and able to immediately find a free place to schedule and order your projects as soon as possible. This is thanks to our fast capacity check at over 80 cooperation partner laboratories. With this expertise and these well-operating and -established structures we are very attractive for large companies. Therefore we would be very happy to also operate for you and your company as competent service provider. With our long-term experience in project management at different contract research organizations we support you exactly where we are needed or where you wish us to get involved.